Fighting unemployment, especially among the young, is an important goal of many actors working at the regional labour market level. 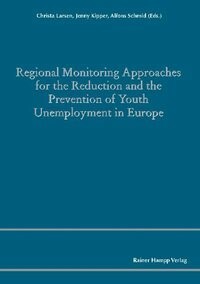 The transparency of the processes of the regional labour market is an important prerequisite for the systematic application of measures and other strategies to help reducing youth unemployment. With the instruments of regional labour market monitoring, a high degree of transparency can be continuously maintained. Therefore this anthology shows various monitoring systems and approaches of different countries including specific geographical, social, political and regulatory conditions of the different regions.